Are you looking for an honest, reliable moving company in the Chesapeake, VA area? If so, look no further than My Guys Moving & Storage in Virginia Beach. We’re a family business that’s been proudly serving the Chesapeake, VA area for more than 25 years. Our focus is on customer service and treating each move as if it was our own. This means that we are always courteous, flexible and handle our customers’ belongings with the utmost care. 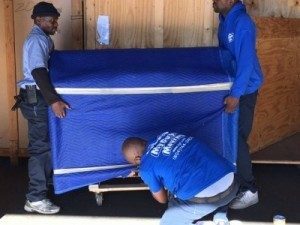 We assist with interstate, commercial and other types of specialty moves, as well as providing storage space for our customers. We have a large, clean, climate-controlled warehouse that is perfect for storing items both long and short-term. Chesapeake is large, diverse community located in southeastern Virginia. Chesapeake is the third most populous city in the Commonwealth of Virginia with 232,000 residents, and the second largest in terms of land area. The size of the city has presented it with some interesting challenges in the management of its infrastructure. Answering these challenges has led to the construction of several major expressways throughout the city’s history, as well as the preservation of miles of wetlands, forests and farmland.forests and farmland. Chesapeake was named the 21st best city in America in Bloomberg Business Week’s “America’s 50 Best Cities” article in 2011. Chesapeake may end up being a location along a potential high speed passenger rail service between Richmond and South Hampton Roads. The southwestern part of the city contains a large portion of the Great Dismal Swamp National Wildlife Refuge. Last year, Hasbro, multinational toy and board game company, organized an online vote to determine which U.S. cities would make it into its Monopoly Here and Now: The US Edition. Chesapeake won a brown spot on the board after a wild-card round of voting. The Virginia Beach area has trusted the folks at My Guys Moving & Storage for 25 years with its moving and storage needs. 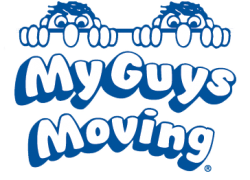 If you’re planning a move in or out of Chesapeake, call the expert Virginia Beach movers at My Guys Moving & storage. Call us now at Phone: 757-463-3001 to talk to a live person! We proudly serve the following zip codes in the Chesapeake area: 23320, 23321, 23322, 23323, 23324, 23325, 23326, 23327, and 23328.